"I regret what transpired when I tried to remove the camera from the photographer's hands last night. As an artist on stage, it is very distracting and disorienting to have a camera flashing in your face for an extended period of time. I reacted impulsively out of frustration and for that I apologize." 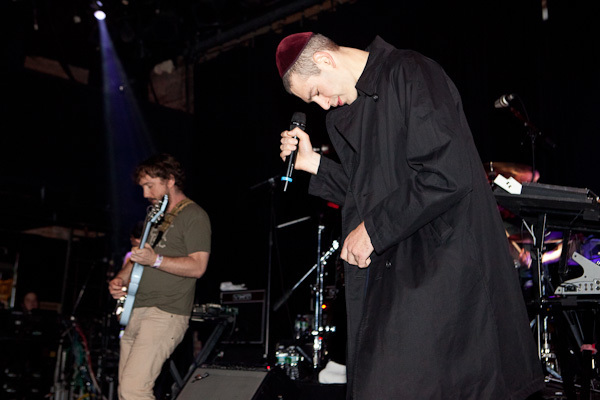 UPDATE: Matisyahu has tweeted the following in response: "@papermagazine @rebeccasmeyne Sorry about last night. I totally snapped. I wouldn't call it a kick, more like stepping into the crowd. and being that you've shot so many shows you should know how distracting a huge flash in your face is. Seemed like you were there everywhere I turned with that flash. Next time be more sensitive to the performer." 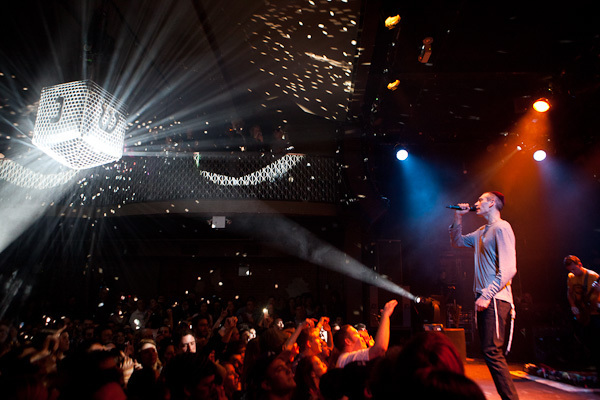 Papermag assigned photographer Rebecca Smeyne to shoot Matisyahu's "Festival of Light" Hanukkah show last night at Music Hall of Williamsburg. Fun, festive times, right? Apparently not. We were dismayed to see a tweet from Rebecca around 10 p.m. saying the laid-back Hasidic rap star had kicked her in the face and broken her camera's expensive flash during the show. What?! 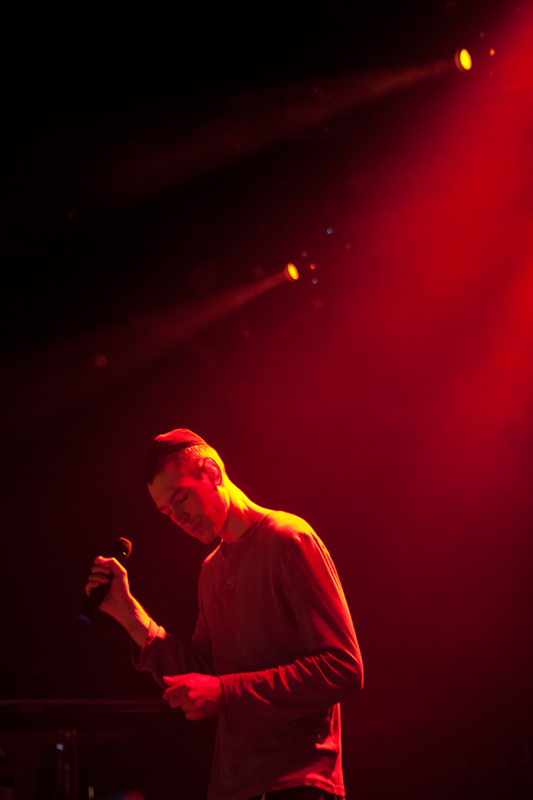 Chilled-out nice-guy dub-reggae star Matisyahu did what? We've seen Rebecca shoot concerts and parties and she isn't aggressive or obnoxious in her pursuits to get her great shots, nor were we told flash wouldn't be allowed at this show. So what happened? Rebecca breaks down her side of the story for us below. The night was strange from the start. It was December 21st, yet it was so unseasonably warm outside, I left my coat at home. 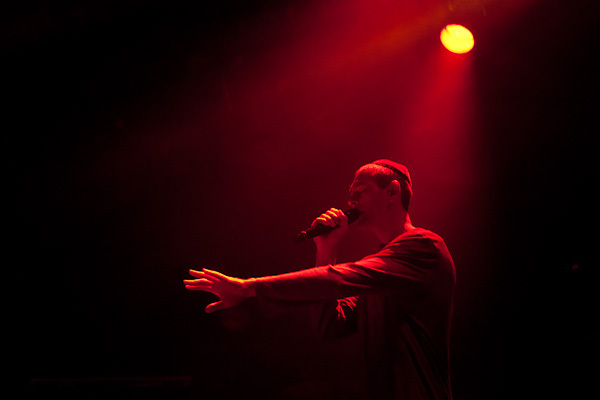 I was on my way to cover Hasidic dub reggae star Matisyahu's 6th annual Festival of Light Hanukkah Tour -- one of his three nights at Music Hall of Williamsburg (where he happens to hold the record for the most sold-out shows). When I arrived at the venue, there was a crowd of Hasidic men standing near the entrance. They weren't patrons of the show, but on mitzvah missions, looking in a likely place for people who would answer affirmatively to the question "Are you Jewish?" 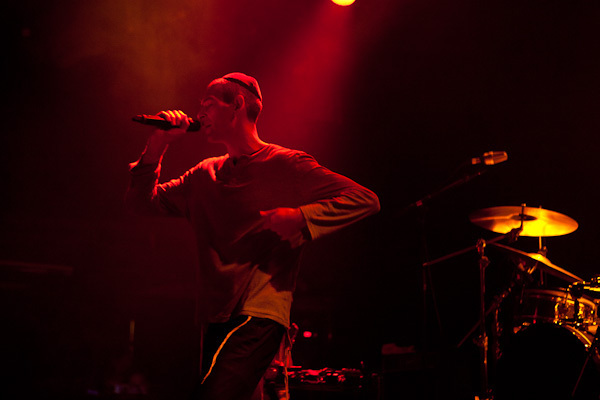 My editor and I had pre-arranged a photo pass for the show through Matisyahu's publicists, and there was no mention of restrictions in terms of photography or flash. For the first half of the show, I shot from the floor, behind someone, near the side of the stage. I didn't use flash most of the time because there was bright enough lighting. 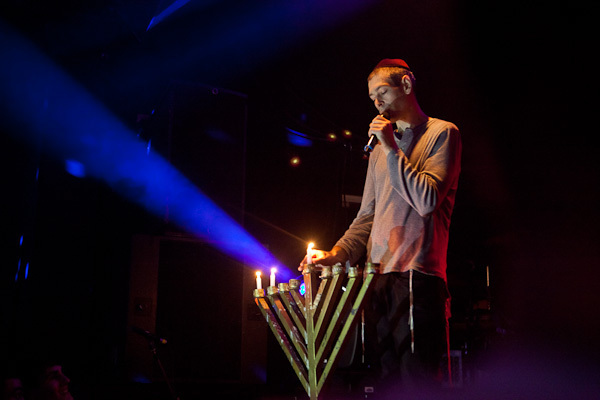 About halfway through the set, Matisyahu went to the opposite end of the stage to light a huge menorah. I moved closer to get a shot of this key moment, and ended up toward the center, still behind a few people. 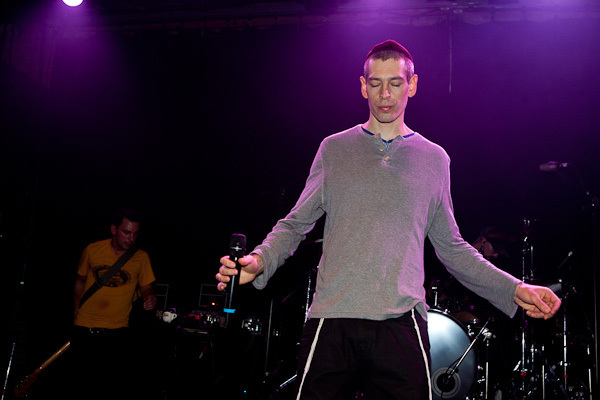 After he was done with the Menorah, Matisyahu resumed performing in center stage. I took the opportunity of my proximity to take some flash photos, to get some detail shots. And this is when things got weird. 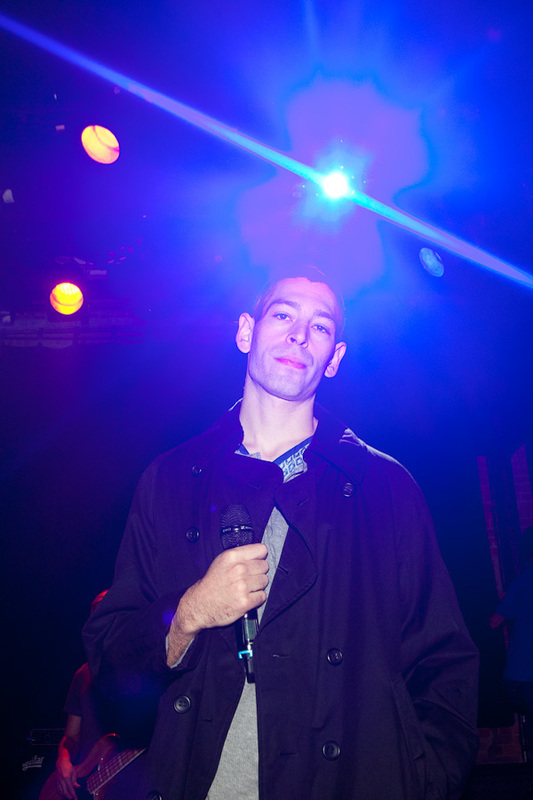 After 12 flash shots over a few minute period (the camera gives me this data), Matisyahu stepped toward me, off the stage. The person in front of me moved and the next thing I knew Matisyahu's foot was on my face and I fell to the ground. At first I assumed he was trying to crowdsurf, that he wasn't deliberately trying to step on me. But when I got up, he was in the middle of the audience. When I turned to look at him, he charged at me and attempted to forcefully wrestle the camera away from me. I had the camera strap wrapped around my wrist several times, and I held the body tightly with both hands. Finally, he ripped the external flash off the top of the camera, leaving wires exposed. Suffice to say, this is not an inexpensive piece of equipment, and he had clearly damaged it deliberately. I went to find security, and requested to talk to the manager. They told me to go outside, so I did, and then I called the police. I wasn't hurt, but I wanted to be reimbursed for the equipment damage and felt I needed to file an official report. The cops showed up while Matisyahu was still on stage. 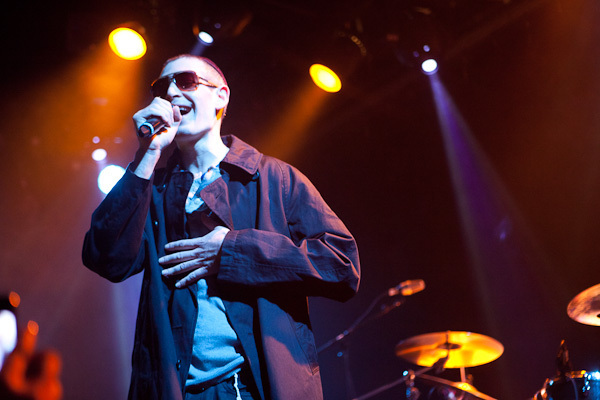 Eventually, after the officers made it clear they weren't leaving, Matisyahu's manager sheepishly came out, said he saw the whole thing, apologized for Matisyahu's behavior, and said it was "out of character." He said they'd pay for the damage, and I accepted, but still wanted to file the report, to have some documentation. Then he offered to settle in cash, on the spot. He gave me a fat stack of bills, and I thanked the police for coming out and called it a night. So why did he freak out? This is a performer who's been in the spotlight for ten years; he has nearly 1.5 million followers on twitter. He should be very used to photographers. And I shoot performances often enough (over 600 different bands in the past 5 years, professionally) to know I wasn't doing anything, shall we say, un-Kosher. 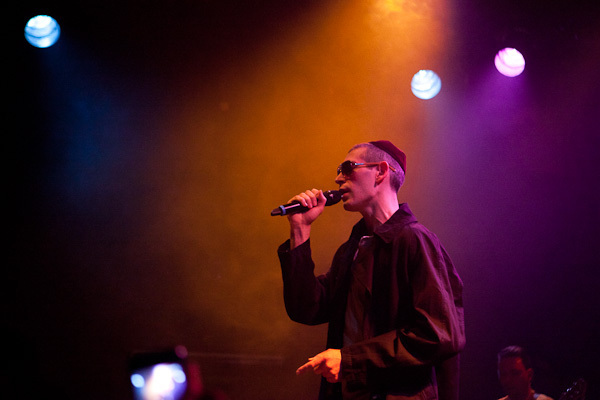 As it turns out, Matisyahu had been in the news a lot this week, after he unexpectedly shed all of his facial hair and curls and announced via twitter that he is "reclaiming" himself from religious rules." This week at Music Hall was, in fact, the first time he'd been seen in public with his new look, which the press has described as "confusing to fans." And no, he's not giving interviews about it. Whether these recent changes caused him to snap, is unclear. 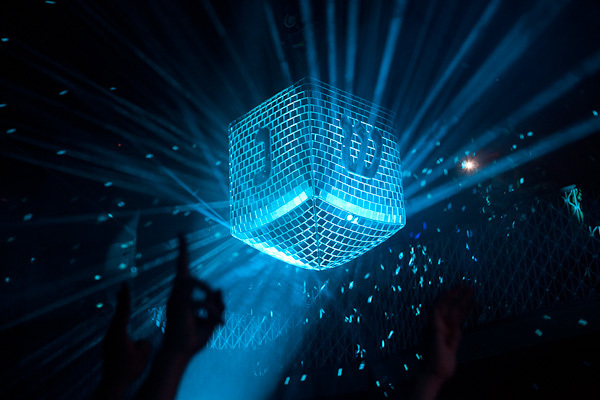 I will say, though, that the show itself was pretty underwhelming, save for the talents of his backing band (holla Dub Trio), and a supremely awesome huge disco dreidel hanging from the ceiling. But I guess at this point, you could say I'm biased.